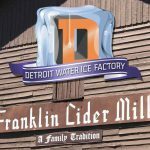 Bloomfield Hills — If you happen to stop by the Detroit Water Ice Factory’s new pop-up location this summer at the Franklin Cider Mill, you’ll see the handy work of your Detroit Muscle Crew II. All you have to do is take a look around. The scoop: A team of DMCII members came together shortly before Memorial Day and put up the large tent on the parking lot at the cider mill. It wasn’t as easy as it looks. 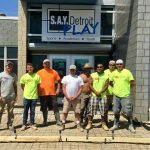 There was some craftsmanship going on to make the whole thing come together, with volunteers Jack Galopin and a few member members of Scott Albaugh’s masonry team, combined with a huge assist from Richard Krus of Midas Shelby Township. The pop-up location at the cider mill, which is closed for the summer, will be open through the third week of August. 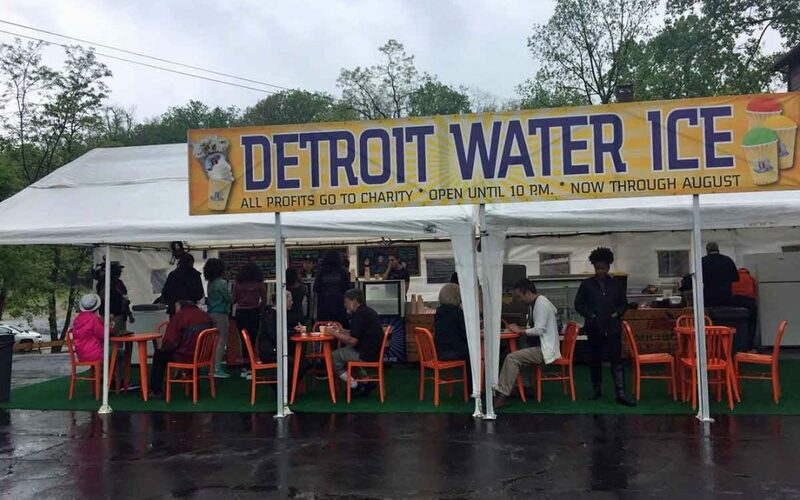 The DWIF, founded by author and columnist Mitch Albom, opened in downtown Detroit in August 2015. 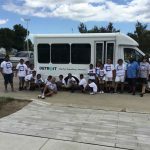 All profits support Albom’s S.A.Y. Detroit charity, which helps Detroiters in need. The cider mill’s picturesque scenery makes it the perfect spot for a pop-up, so come visit us this summer!